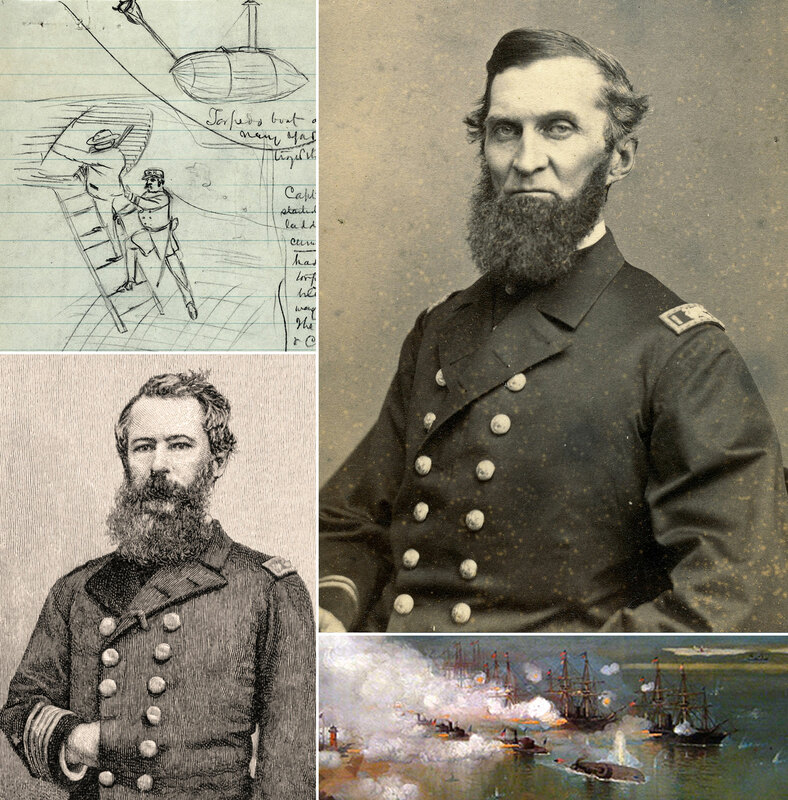 Union navy officer George Work and his crew mates on the monitor Tecumseh went into the historic attack on Mobile Bay full steam ahead—until an underwater torpedo ended in destruction and death. Read Work’s profile and learn his fate. “Samuel J. Shipley, a resident of Fayette county from 1819 until his death in 1897, a member of the first class to graduate from the United States Naval Academy, at Annapolis. 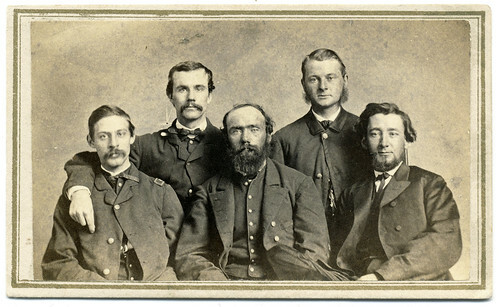 a participant in the Civil War and one of the best beloved men of a past generation in the county, was born in Wilmington, Delaware, December 24, 1813, the son of Joseph Shipley and Mary H. (Test) Shipley. He came with his mother to Fayette county when he was six years of age, his father having died leaving his wife with four small children. It was the childish ambition of Shipley to become a sailor, and when he was nineteen years of age Jonathan McCarty, then congressman from this district, secured an appointment for him as midshipman in the navy. This was before there was a naval academy and it was not until 1839 that Congress established such an institution, the first one being located at Philadelphia. Shipley was enrolled as a student at the time of its inception and when the academy was removed to Annapolis the following year, he became a member of the first class, graduating in the spring of 1840. 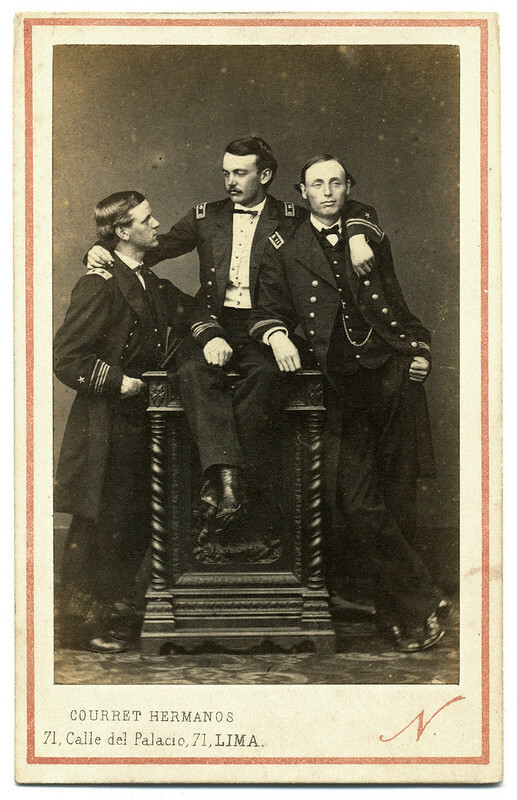 Shipley continued his career at sea year after year, being advanced to a lieutenancy in 1847 at the close of the Mexican War. 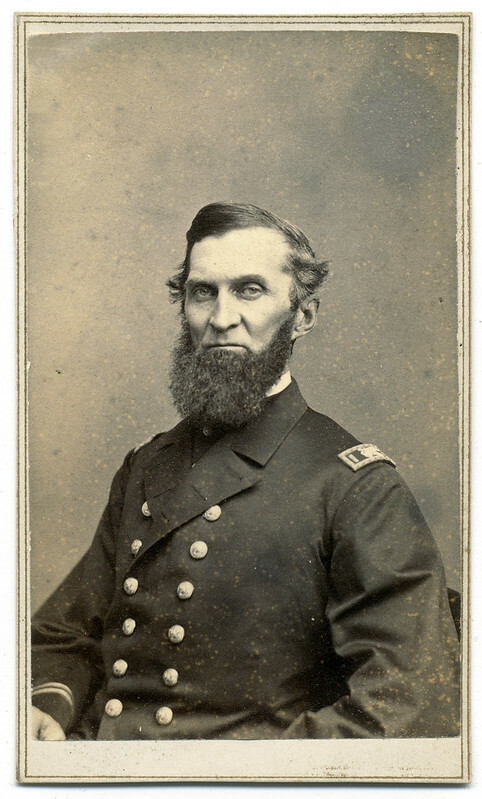 At the opening of the Civil War he was stationed at Fortress Monroe as commander of the “Brandywine,” but his health became impaired and he was compelled to retire from his command in 1863. He at once returned to his home in Fayette county and settled down on his farm in Harrison township, which he had purchased in 1837. There he continued to reside with his daughter until a few years before his death, when he moved to Connersville where he died on July 11, 1897. Damn the Torpedoes! What Did Farragut Really Say at Mobile Bay? The actual words by Adm. David Farragut during the 1864 Battle of Mobile Bay that became paraphrased as “Damn the torpedoes, full speed speed ahead” are still something of a mystery 150 years after they were uttered. 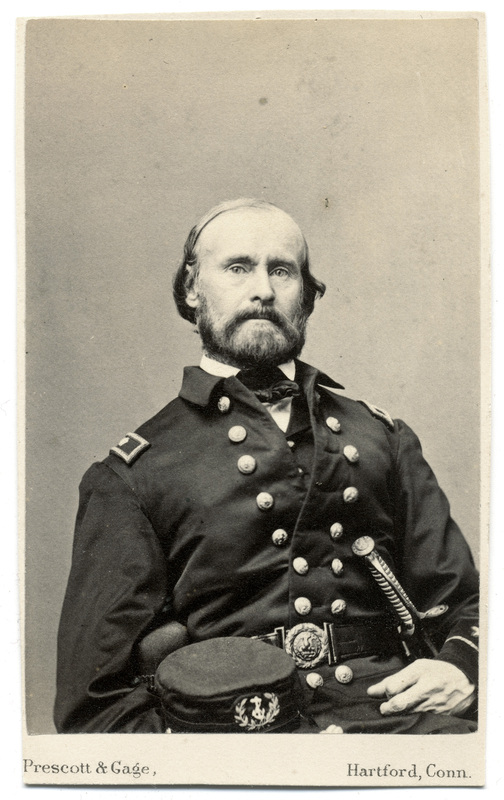 The provenance of this version is an inscription in a gilt-embossed green buckram 1864 pamphlet “Bay-Fight” by Henry H. Brownell (pictured), acting ensign and clerk to Farragut during the Battle of Mobile Bay. 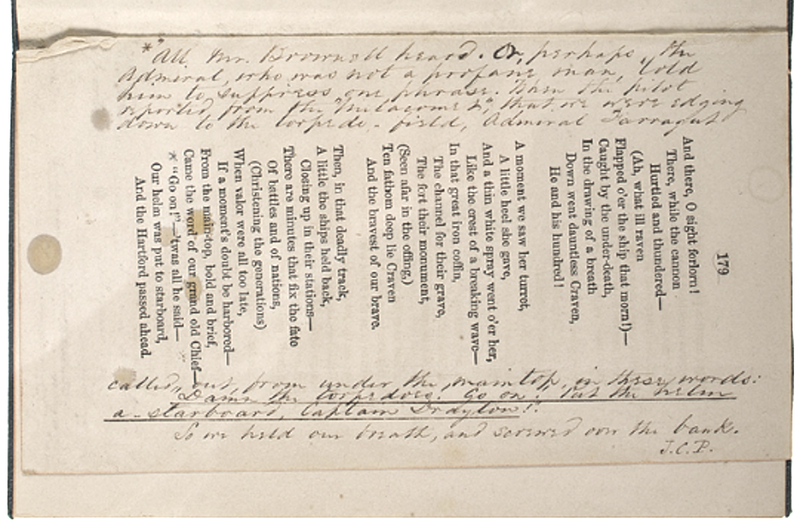 The pamphlet was recently sold on Cowan’s Auctions. Brownell’s poem, “Bay-Fight,” was first published in “Harper’s Monthly” magazine. The author presented this particular copy to Fleet Surgeon James C. Palmer. And the Hartford passed ahead. *All Mr. Brownell heard. Or, perhaps, the Admiral, who was not a profane man, told him to suppress one phrase. When the pilot reported from the “Metacomet” that we were edging down the torpedo-field, Admiral Farragut called, from under the maintop, in these words: “Damn the torpedoes! Go on! Put the helm a-starboard, Captain Drayton!” So we held our breath, and screwed over the bank. -J.C.P. Two references worthy of mention. The “Metacomet” is one of the Union vessels present and in the thick of the battle. Use of the word “screwed” refers to the action of the screw-propeller engine that drove the ship. 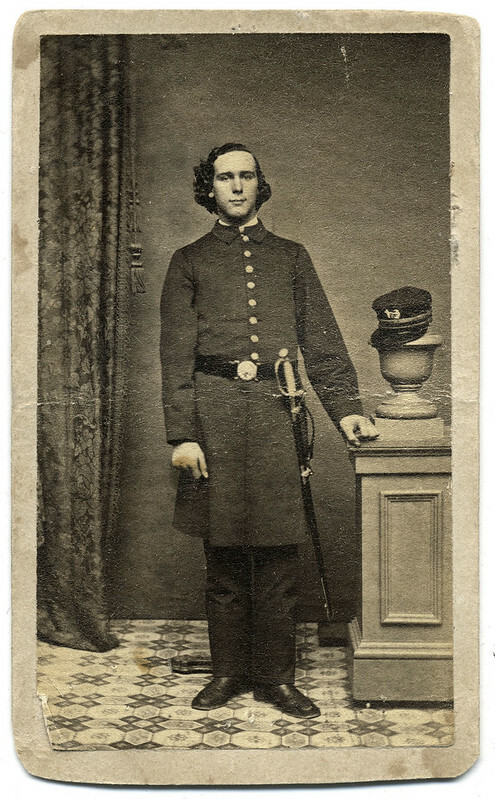 Brownell’s carte de visite is new to my collection, and now available on Pinterest, Tumblr, and Flickr. Philip Langer braced for impact. The wooden sloop-of-war on which he served, the Monongahela, was only yards away from ramming the rebel ironclad ram Tennessee in the waters of Mobile Bay on August 5, 1864. The Tennessee fired its guns into the approaching Monongahela at this critical moment. Two shells fired from her ports crashed into the Monongahela’s bow. One shell tore into the wood siding near the prow and lodged in the berth deck. The other ripped through the berth deck where Langer and others stood firm. It exploded and sent iron fragments, splinters of wood and other debris through the air. The crew was thrown violently to the floor. 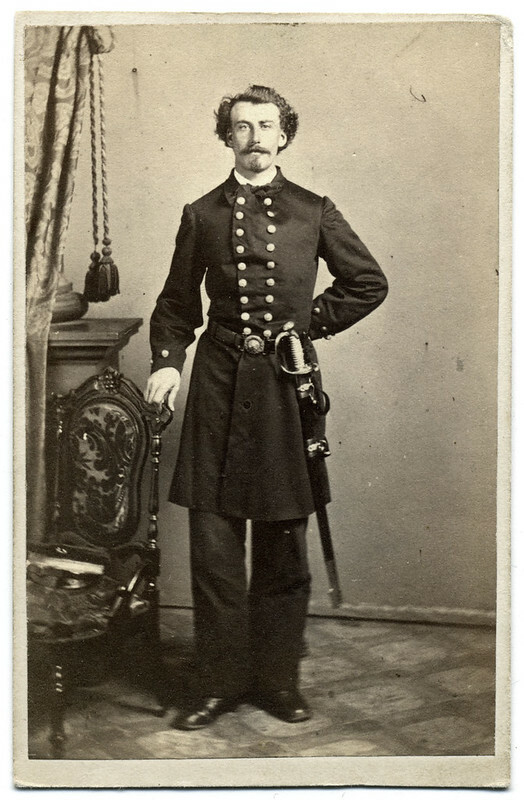 Connecticut-born trader George Work posed for his portrait in the New York City studio of photographer George Work in February 1864, shortly after receiving a commission as an acting assistant paymaster in the U.S. navy. Before the end of the month he was assigned to the monitor-class ironclad Tecumseh. Six months later during the Battle of Mobile Bay, the Tecumseh struck an underwater mine (known as a torpedo) at the very onset of the fighting on Aug. 5, 1864. According to eyewitness accounts, the vessel sunk in less than 30 seconds. Almost the entire crew went down with the ship, including Work. His body was never recovered. New to my collection is this carte de visite of William Wingood Jr. by B.P. 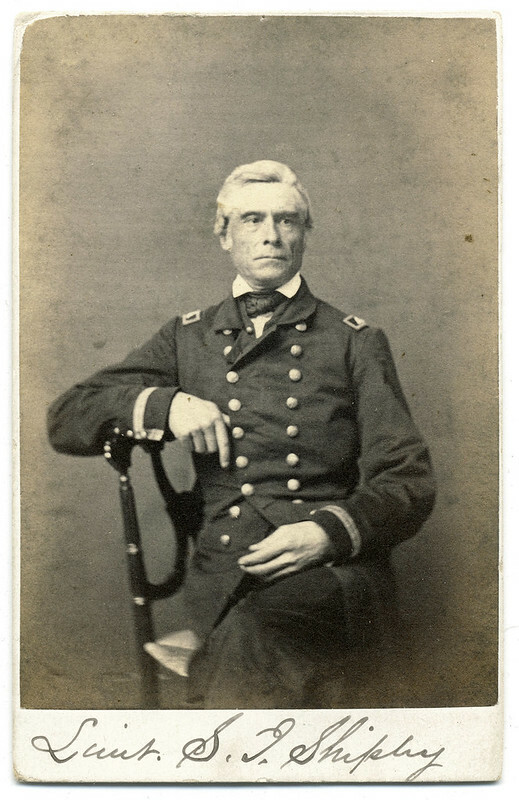 Paige of Washington, D.C. Wingood left his home in Rockport, Massachusetts, in the summer of 1862 and joined the Union navy as an ensign. Authorities assigned him to the wooden screw sloop Ossipee. The warship and its crew steamed to the Gulf of Mexico, where it captured a number of vessels attempting to run the blockade. In March 1864, the Ossipee joined the fleet of Adm. David Farragut for the invasion of Mobile Bay. On August 5, 1864, the Ossipee passed safely by the enemy forts that guarded the mouth of the bay. 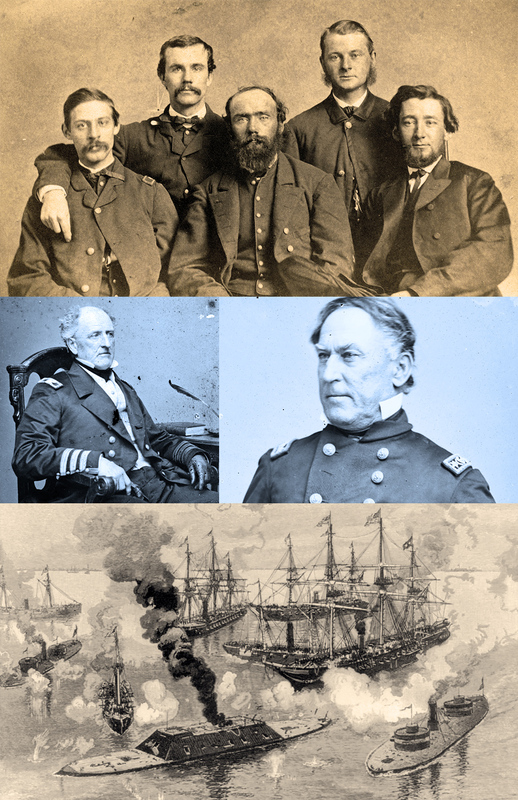 The ship and crew steamed into the bay and participated in the ensuing naval battle, and is best known for its role in bringing about the surrender of the Confederate ironclad ram Tennessee to surrender.